Find My Workspace lists over 95% of the serviced offices market in Orchard. Simply click Request Quote to check pricing for one office, or Add to Basket for multiple offices. 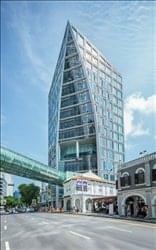 The business center is located in a 13-story building in the heart of Singapore’s retail and commercial district, Orchard Road. Benefiting from direct access to Orchard Road Mass Rapid Train station, the business center is on one of Singapore’s most recognised retail destinations offering a broad range of outlets, shops and amenities. This centre impresses with its stunning architecture featuring a sleek glass facade and the only overhead bridge along Orchard road. The business centre is Orchard Road’s newest prominent business address at the heart of Singapore’s fashion and lifestyle epicentre. The location features a wide range of new cosmopolitan and trendy retail and F&B concepts, which will offer a mix of local niche and new international mono-brands and unique multi-label retail offerings. Further comprising a hotel, offices, the Singapore visitor centre and national library, this business centre offers a unique and seamless work and lifestyle experience. This building offers a range of serviced offices, virtual offices, conference/meeting rooms, and many other services to accommodate all your business needs. These include ready-to-use executive office workspaces in prime Grade A office buildings with premium fit-outs, ergonomically designed furniture, state-of-the-art telephony and printing systems, in-house administrative and IT support teams, and fast and secure high-speed Internet connections, for rent on flexible terms. This centre offers full-service serviced offices that seat 1 to 20 persons, virtual office packages catered to your specific needs, a meeting room to host upto five persons, video conferencing and administrative secretarial support services. 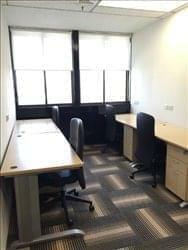 This workspace is prominently located at the intersection of Orchard Road with Scotts Road and Paterson Road, and outside of the ERP gantry. Season parking is available for clients. For non-drivers there are all-weather underpasses directly to Orchard MRT Station and Wheelock Place and the centre is just five MRT stops to Raffles Place (CBD area). This building has an on-site team to support your business needs. It provides full-sized workstations in every office suite, company and personal direct dial phone lines, broadband internet access, 24/7 secured office access, complimentary pantry, daily office cleaning and general maintenance. 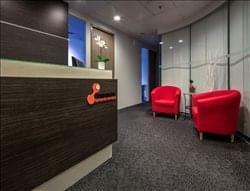 Located in the prestigious office-shortage Orchard Road area, this centre is just outside the Electronic Road Pricing area and yet just beside major hotels, restaurants and cinemas. The building is newly refurbished with new double glazed windows, new elevators, brand new restrooms and walkways. The flooring and air-condition systems are also brand new. With many windows, the office is brightly lit with a full view of the landscaped Koi Garden. The centre itself is newly renovated with brand new fittings along with designer decorations. The centre has 30 suites and is well suited to any requirement. Newly built Building including conducive Environment and Greenery for relaxation. Customers have a 24 hour access and are able to access to other country Office. Furthermore they have a shower available for midnight or after exercise and pantry area for soft cooking. Customer are able to enjoy the luxury of workspace either dedicated or flexible table space with internet sharing. They also enjoy activities and weekly meal together to enjoy better networking atmosphere. To obtain information for your selected Orchard Serviced Offices, please tick the "Add to basket" box for each office you prefer and complete the form below. We will then send a detailed report via email.